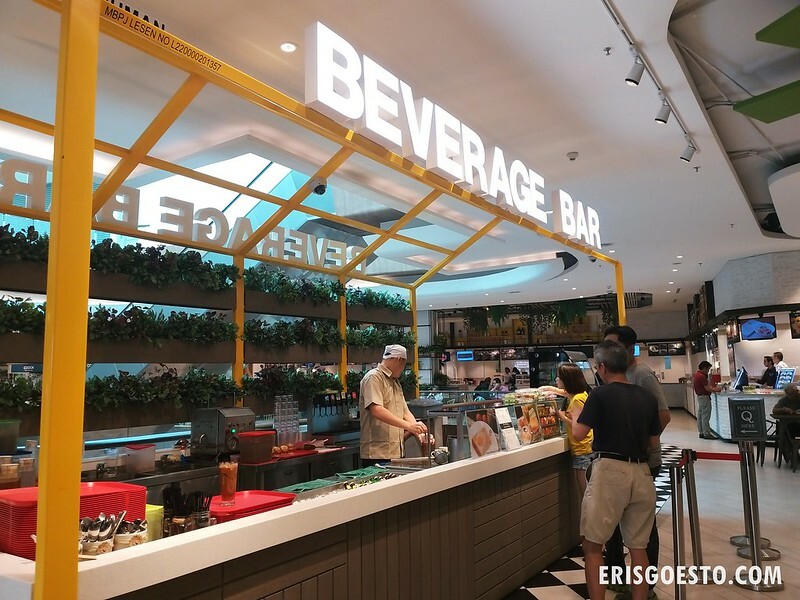 In an environment saturated with malls carrying the same cookie-cutter brands, The Starling in Damansara Uptown is a refreshing change. Inspired by nature and known as the ‘Mall Within A Park’, it boasts an open layout with plenty of natural sunlight streaming in from the large skylight, as well as a 27,500 sq ft Chirp Park on the ground level and a rooftop Sky Park. 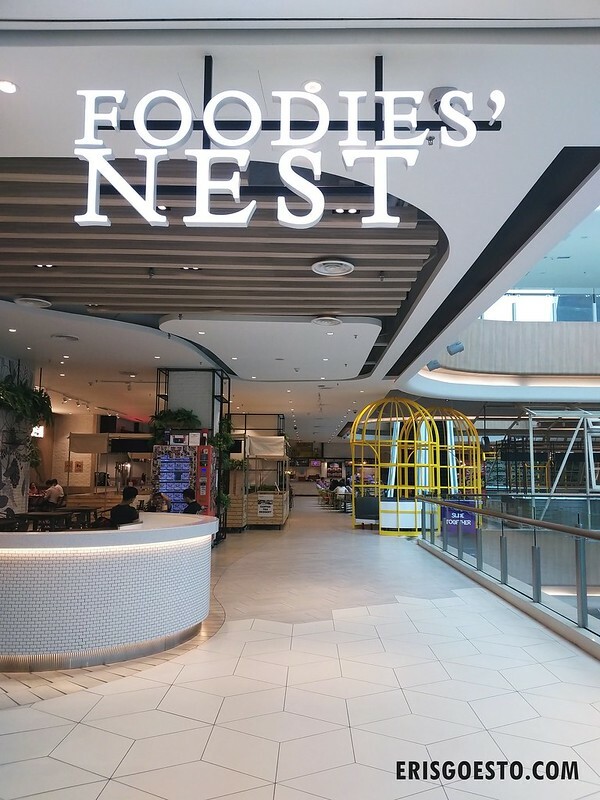 Was here for lunch the other day and decided to explore Foodies’ Nest, the mall’s food court on Level 3. 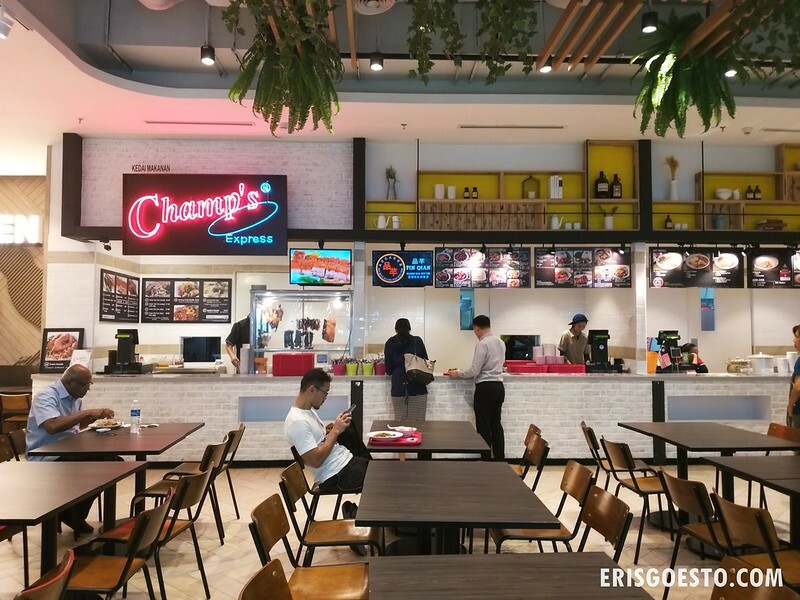 When you think food court in Malaysia, ‘CANTEEN!’ comes to mind more than a cosy/cool place to hangout and chill – which is why I really liked what they’ve done with Foodies’ Nest. Although there seem to be themed sections, you never feel as if you have to sit right in front /within vicnity of the stall you ordered from. The design of the place is welcoming and there are actually many spots within that even look pretty Instagrammable, like the giant ‘bird cage’ booths at the entrance. The ambient lighting also helps to prevent the place from looking cold and clinical. I settled down for lunch at Fujisawa Izakaya, which had an ‘island’ layout with the dining area surrounding the central kitchen. 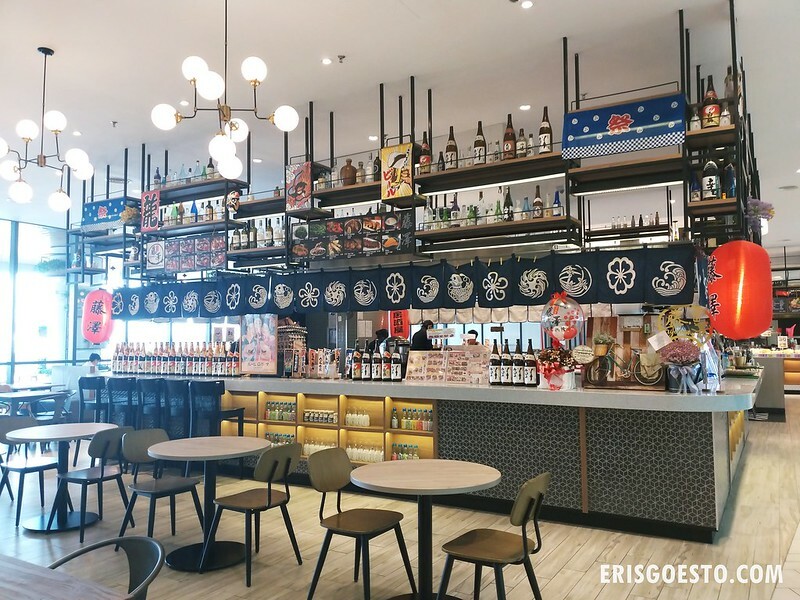 The kitchen area was decorated with traditional Japanese elements and trinkets, from sake bottles to noren (fabric dividers), lanterns and maneki neko (lucky cat) statues. 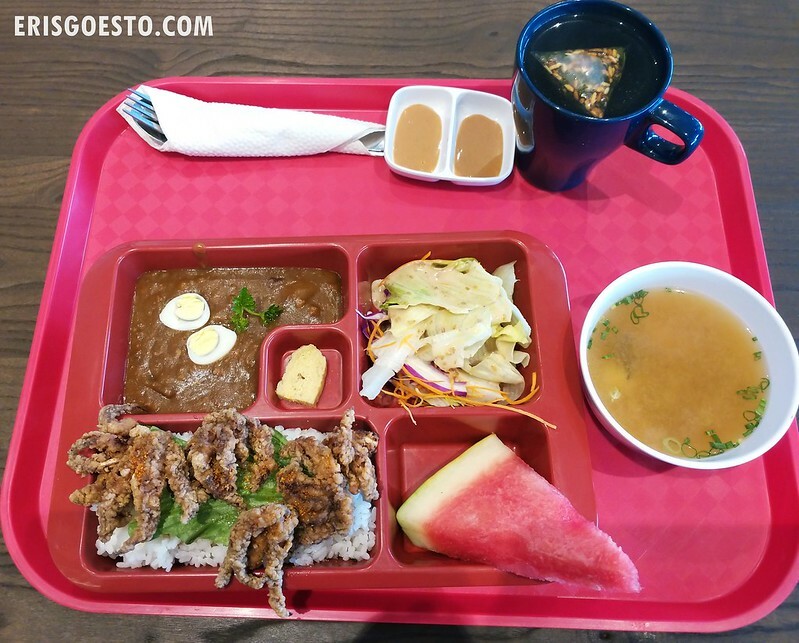 Ordered a Bento set of Japanese curry rice with fried ika (squid). The portion was just right for a medium eater, although I think for the price, they could have given a few more pieces of squid. The curry was mild and sweet, with soft chunks of potato and meat which went really well with rice, while the squid was deep fried and seasoned well, lending the dish an element of crunchiness. Sides included cabbage salad, miso soup and a slice of watermelon. A satisfying meal for a reasonable price. *Their main branch is in Kepong, Kuala Lumpur.